We wrapped up the “Best Of 2011” with all kinds of posts on movies, music and moments. But we completely forgot about the docs. Also because most of us didn’t manage to watch all the best docs. Writer-filmmaker Mihir Desai saw it all and here’s his recco post on the top 10 docs of 2011 that you must watch. Click on the titles to see the trailers. 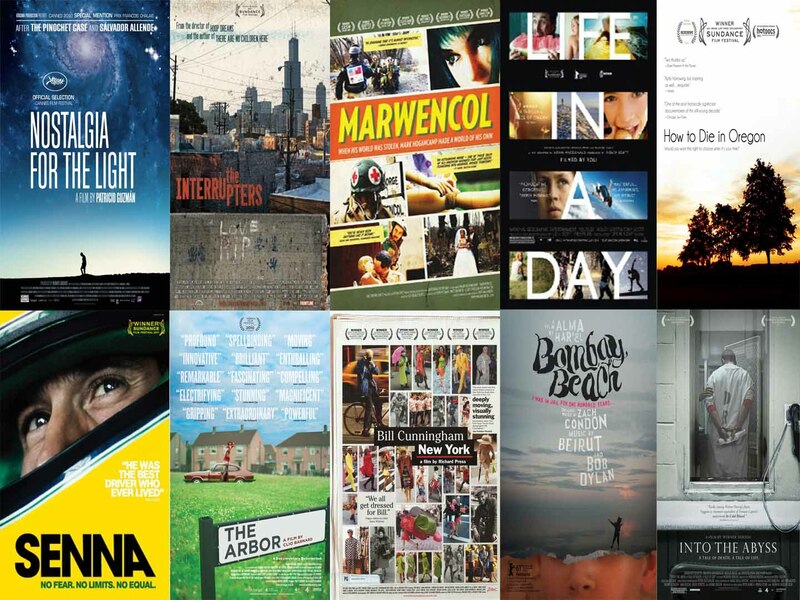 2011, like the previous year has been a brilliant year for documentaries. We’ve been exposed to some really personal and special films. These docs have dared to bend the rules and have created a sub-genre within documentary filmmaking. I saw docs that were surreal, global collaborations, re-enactments and just traditional docu-dramas. Hope this genre continues to grow and finds more audiences, after all the first few movies ever made were documentaries too! Some obvious choices like Pina 3D, Page One: Inside The New York Times and Martin Scorsese’s Public Speaking will be missing from the list as I never got a chance to watch these. Regardless, this should make for an interesting recommendation list, as I am sure most films listed below might have gone unnoticed amidst the Tintin and Mission Impossible hype. First up, the honorable mentions: Inshallah Football, Buck, Knuckle, George Harrison: Living in the Material World, a short documentary by Errol Morris – The Umbrella Man and Superheroes. 10. The Arbor : Clio Barnard’s portrayal of the late Bradford playwright Andrea Dunbar is a brave experimental documentary. Clio uses audio from the interviews of real people and lip-syncs them to the actor’s performance. The whole film is a re-enactment but it isn’t manipulating the facts. The events and story is true, the presentation isn’t (somewhat similar to No. 8 on this list) It can be a little challenging to watch this film but once the story unfolds, you’ll be hooked! 9. Bill Cunningham New York: An 80 year old New York Times fashion photographer riding his bike around New York City to photograph fashionable citizens; the plot of this film is that simple. Director Richard Press portrays Bill Cunningham’s passion for fashion and photography in the simplest manner. The observational approach juxtaposes the glamorous fashion world to Bill’s simple and saintly way of living. Besides being a film about Bill’s photography, it is also an interesting city portrait of New York. Therefore, making New York an additional character for Bill to interact with. This is a truly inspiring documentary. When the movie ends, what stays with you is Bill’s contagious smile. 8. Bombay Beach: Director Alma Har’el comes up with the year’s most poetic, surreal, genre-defying documentary. Some might argue, this isn’t even a documentary, and that’s what makes it so fascinating to watch. The location is real, the characters are real and the story is just an observation of these characters’ lives. Alma treats her film like a narrative feature. There are beautiful musical moments choreographed to songs by Bob Dyland and Beurit that makes the experience very surreal. The irony here is that this film is vaguely about the American dream set in a poor, dying community on the shores of Salton Sea. Bombay Beach is nothing like you’ve ever seen before. Absolutely magical! 7. Senna: The year’s most popular documentary on the life of Formula One driver, Ayrton Senna, is absolutely riveting! Director Asif Kapadia makes the best of unseen archival footage to explore the struggles and achievements of an iconic sports person. It’s the editing of the film that takes it to a whole new level. Gripping! 6. Life In A Day: What. A. Movie! This is a perfect and successful example of collaboration 2.0. Co-directed by Kevin MacDonald and The World, this is a beautiful documentation of common emotions across the globe. Shot on the same day by people from around the world and interestingly woven together by editor Joe Walker, Life In A Day is as real a film can get. Brilliant and compelling! Also, you can legally watch the whole film on YouTube, for free. 5. How To Die In Oregon: Oregon was the first state in the USA to legalize physician-assisted suicide. Director Peter Richardson follows the life of cancer patient Cody, and it is through her point of view we get to learn about the pros and cons of Oregon state’s “Death with Dignity” law. Richardson handles this topic in a very sensitive manner without invading Cody’s private space. A thought-provoking documentary that some might find a little tough to watch. Yet, this is one of the most important films of the year and is sure to call for a healthy debate about the ‘death with dignity’ law and about the voyeuristic nature of documentary filmmaking. 4. Into The Abyss: Werner Herzog has his way of doing things, and no one else does it better than him. Herzog creates a moving profile of two men on death row and explores their relationship with those outside of prison. This film is not so much about capital punishment but about exploring the fear and philosophies of death. A very honest portrayal of the fine line between what is right and wrong. 3. Nostalgia For The Light: If Terrence Malick makes a documentary, this is what it will look like. With gorgeous imagery and a philosophical narrative, director Patricio Guzmán constructs a story about the fusion of past and present. In the Atacama Desert, astronomers study the boundaries of the universe while surviving families of the Chilean exiles continue to look for the remains of the loved ones. Nothing comes close to the experience of watching this movie. This is the film I would have loved to see in 3D. It’s a hypnotic film that asks complex questions about life, memory and the universe. Unique film, unique experience. 2. Marwencol: Jeff Malmberg’s documentary is about the fantasy work of Mark Hogancamp, who creates a 1/6th scale World War II ear town which helps him get away from his nightmarish past. Mark is a very complex character and this film studies him with utmost sincerity. The filmmaker never tries romanticizing Mark’s motivations. Truly an authentic character study that might just leave you shattered. 1. The Interrupters: The Academy once again snubs one of the best documentary filmmakers, Steve James. Last time it was for Hoop Dreams and this time, for the mind-blowing, The Interrupters. Set in Chicago, Steve James follows three members of the Ceaserfire program for a whole year. Also known as violence interrupters, their job is to protect their community from the urban violence of the city. This is a side of America not many are aware of. The characters are, in my opinion, real-life superheroes. Steve James and his crew fearlessly film every detail they can. They are always there in the middle of conversations, danger, and threat. The Interrupters is powerful, dark and hopeful at the same time. Without a doubt, the best documentary of 2011. Take some time out from mainstream movies and seek out these masterful films. There’s a whole lot out there! woohoo! quite a list. And that means long pending list for me. Haven’t seen most. So little time and so much to see. Thanks for the post. ‘Nostalgia for the Light’ is already in my torrent queue for two days. Another friend remarked it’s the docu-parallel of ‘The Tree of Life’, and he liked it a lot more than Malick’s feature. Baaki sab dhoondhte hain ek-ek kar ke! hey dude kaunsi sabse jyada “must watch” hai?? which documentary did u like the most so that I may start from that.! Have seen Senna and Pina among these. Both are a must watch.